Tableau is a revolutionary tool that empowers everyone to better see and understand their data. It facilitates creating and sharing data insights across an entire organization. Imagine no longer having to create pie charts to visualise your data? 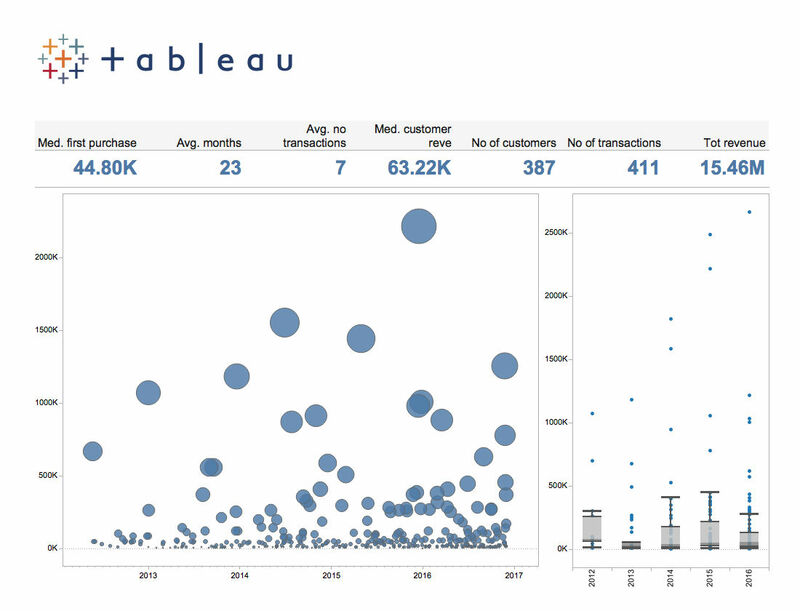 Tableau enables you to explore, visualize and analyze data in just a few seconds. Presentation and data sharing has never been so easy. Use drag and drop functions to discover trends and outliers, and to securely send and share your data with anyone. Access it from your browser, tablet, or smartphone. 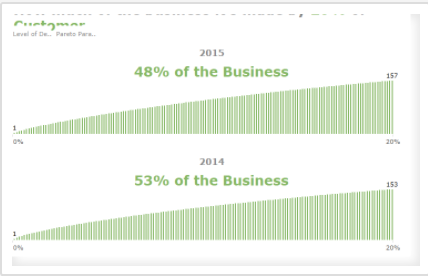 Tableau is business intelligence for your entire organization. The solution which was named “the best business intelligence system” by the Gartner’s Group, is today an indispensable tool used by over 25.000 customers in organizations such as Adobe, Orange, Microsoft, MillwardBrown, Copernicus Science Centre, Bumar, PayPal and Facebook. Tableau allows you to access and combine data without having to write a code from over 100 important data sources, such as MS Excel, MS SQL Server, MySQL, Oracle, SAP HANA, DB2, Hadoop. It allows you to connect to data on-site or in the cloud – whether it’s big data database, a spreadsheet, or cloud apps such as Google Analytics and Salesforce. Tableau allows you to completely change your way of thinking about data – it helps you uncover the hidden insights of your own data on the fly. Forget about long hours of training and learning. 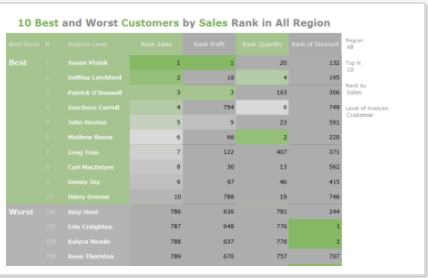 Tableau is very easy to use; it lets you get your first results from 10 to 100 times faster than any other solution. 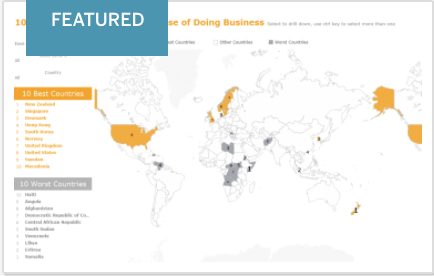 Tableau is designed to work naturally with the way you think. It brings your data together from different sources and transforms it into interactive dashboards in seconds. What about the data in MS Excel, MS SQL Server, MySQL, Oracle, SAP HANA, DB2, Google Analytics, or Hadoop? Naturally, all of these and many other data can be combined. A unique approach to the field of data visualization which is based on years of research at Stanford University over the human capabilities in terms of the perception of data and visual analysis. Tableau gives the possibility of close cooperation of many people. You can easily manage user permissions and scale them from smaller to larger teams. With Tableau your reports are available on the phone, or on your tablet through the application, or via a web browser. Tableau Server and Tableau Online enable you to store your reports online. 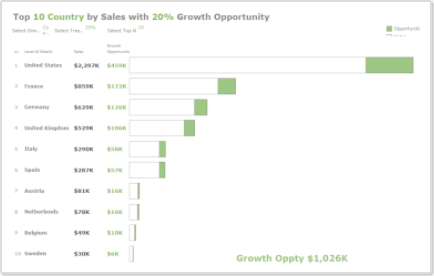 Regardless of whether you need to examine the profitability of marketing projects, or analyze complex sales data, you can be sure that Tableau will give you all the answers you need. Ensuring a robust protection is very important when implementing new systems, especially if these systems contain critical data for the organization, therefore security is Tableau’s top priority. Check out some of our sample products in visual analytics library and visit our Tableau Public profile to get more knowledge and inspiration.